A 12 seater conference table with inbuilt wire box suitable for boardrooms and meeting rooms of corporate offices and institutions. Finished in rich coffee oak and dark gray laminate it has a concealed cable tray on desk top and wiring provision in the base for a clutter free conference room. 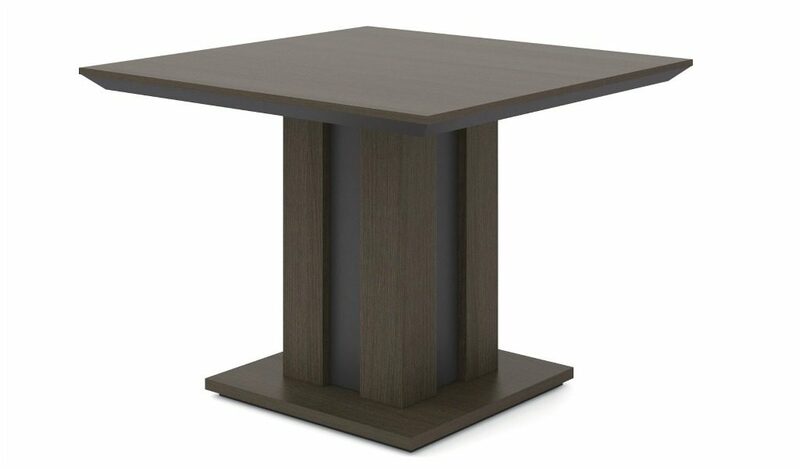 – The Miro series 12 feet conference table in dark oak looks best in its original coffee oak and charcoal gray laminate. 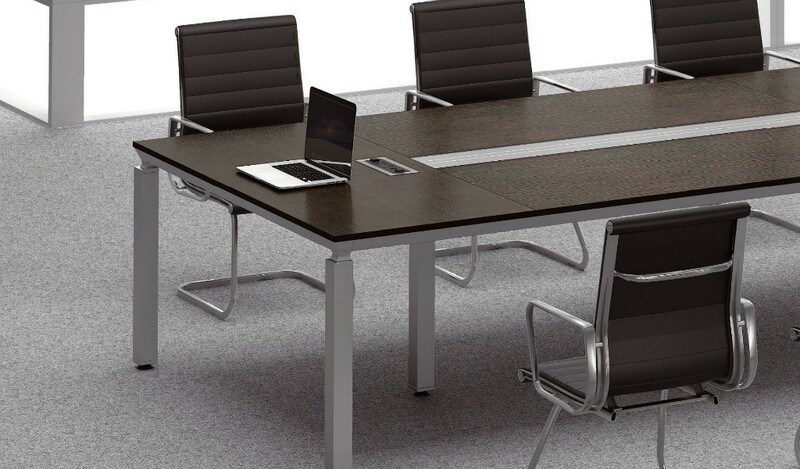 – You can use this 12 seater dark oak meeting table for medium sized conference rooms of 200 sft and more. 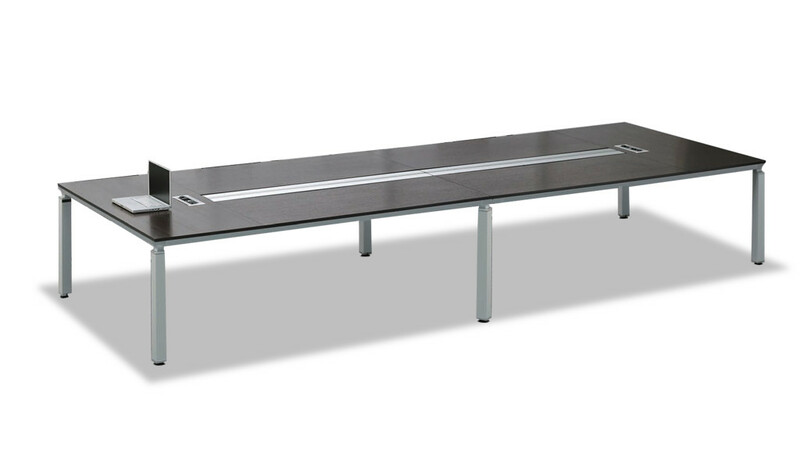 – Main table with with inbuilt wire management box. Also included is a cable tray in the center for data and power connections. 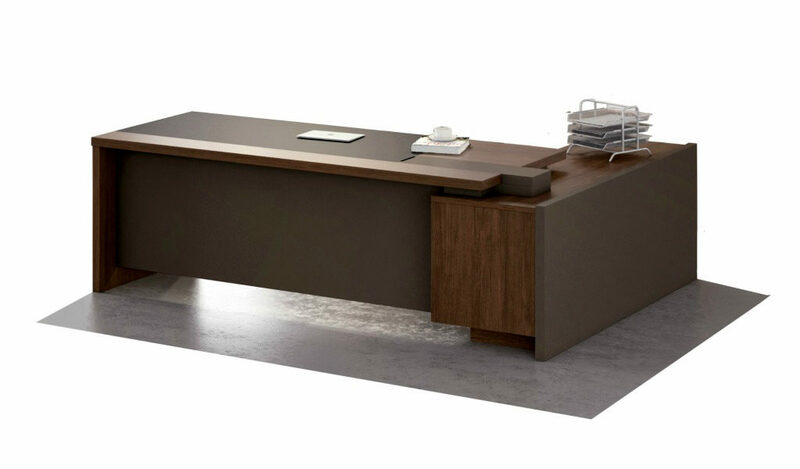 – This conference table is manufactured with environment grade engineered wood and laminate. 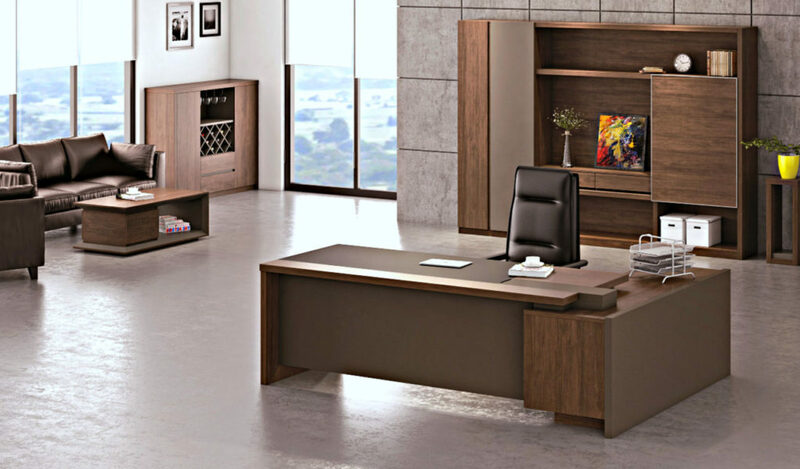 The E1 grade MDF is a highly durable material and a world standard for premium office furniture while the laminate is from our carefully selected range of premium laminates with consistent color and grain structure. 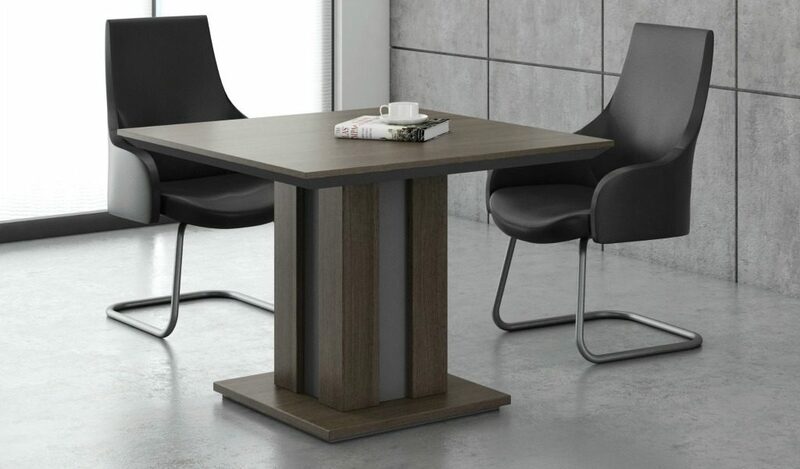 – An elegant 12 seater conference table in a dark oak and black laminate combination. While the desktop has a centrally placed wire management panel, the base has an elaborate provision for concealed wiring for a clutter free work space. Built with top grade MDF wood and premium laminate it fits into any budget while maintaining its core features like durability, natural feel and luxurious looks. Suitable for boardrooms and conference rooms with plush interiors, it is part of the Miro series from which you can also choose an entire range of matching office furniture like desks, smaller conference tables etc to create a complete office.